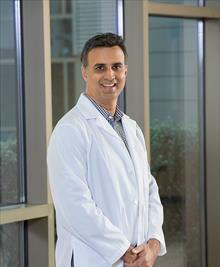 Dr. Rana is a clinical pediatric surgeon with experience in all aspects of neonatal and pediatric surgery, with special clinical interest in pediatric oncology, thoracic surgery and complex gastrointestinal surgery including minimally invasive surgery. He is also the Educational Experience director. As a pediatric surgeon, I have the honor and privilege to take care of an innocent and sometimes unfortunate patient who still has a long, fulfilling future ahead of them. The ability and responsibility to help a child and their family to recover from an illness, congenital defect, or poor quality of life is what I enjoy the most about pediatric surgery. I also have the opportunity to be involved with my patient as they grow up which is rewarding. Having this purpose drives me to provide the best care I can for my patients and enhance the community that my family and I live in. I have experience managing all aspects of neonatal and pediatric surgery. I believe minimally invasive surgery is important if possible for all the benefits it provides. I enjoy being strongly involved with our oncology team and the opportunity to help patients with cancer. In addition, I perform surgeries on newborns with congenital defects. I enjoy helping these infants and their families achieve a normal life. I specialize in pediatric surgical issues involving the neck, chest and gastrointestinal tract.